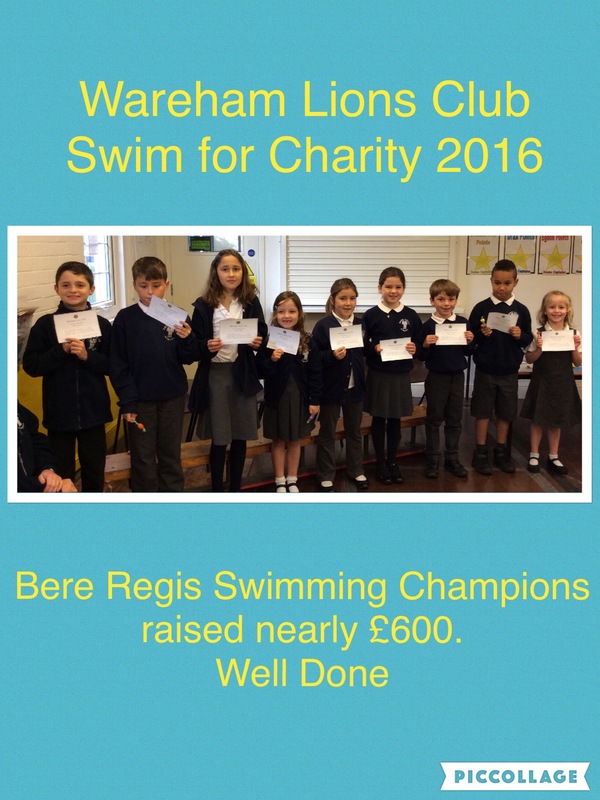 9 children from Bere Regis School (year 1 to year 5) took part in the Wareham Lions Club Swim for Charity event on the weekend. The children had to swim for an hour and they raised nearly £600. Well done for a fantastic effort.